2017 was a MASSIVE year for comic book video games from sheer volume alone with long gestating titles like Battle Chasers: Nightwar finally coming out, the release of two major AAA fighting games and surprises like a remaster of Rogue Trooper and a collection of NES Disney games that included the likes of DuckTales and it’s pricey sequel, DuckTales 2. So far the known projects that will either release or will have a bigger showing in 2018 can’t match the breadth of what we knew was coming in 2017 at the start of last year, but what’s coming is still worth getting very, very excited about. Unlike last year as well we don’t have any large profile releases within the first half of the year, but when we finally get to start playing some of these games, whether that’s within this year, in the next or beyond, I’m sure it will well be worth the wait. WHAT IS IT? 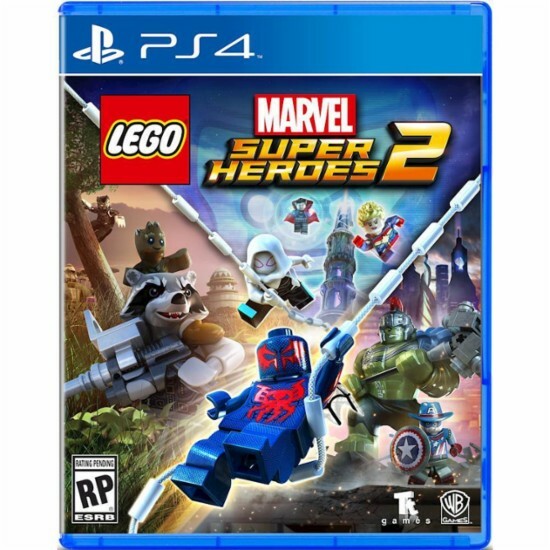 : Sony’s first-party game developed by long time partner Insomniac Games (Ratchet and Clank, Resistance) starring, you guessed it, Spider-Man. WHY SHOULD I BE EXCITED? : Like I said last year, all you have to really say is “Insomniac is making a Spider-Man game” to get excited, but after two trailers in 2017: One at E3 and another at Paris Games Week, we know much more about the game than we did this time last year. While Insomniac is still holding the release date close to the chest (personally I say let it cook as long as possible), we’ve seen trailers showing Spider-Man’s gadgets and moves, brief scenes of web-slinging, a playable Mary Jane Watson, extended footage of Mister Negative and a confirmation of a second villain in the Shocker (others have been teased via Easter Eggs) and the unveiling of Miles Morales in Insomniac’s take on the character’s universe. 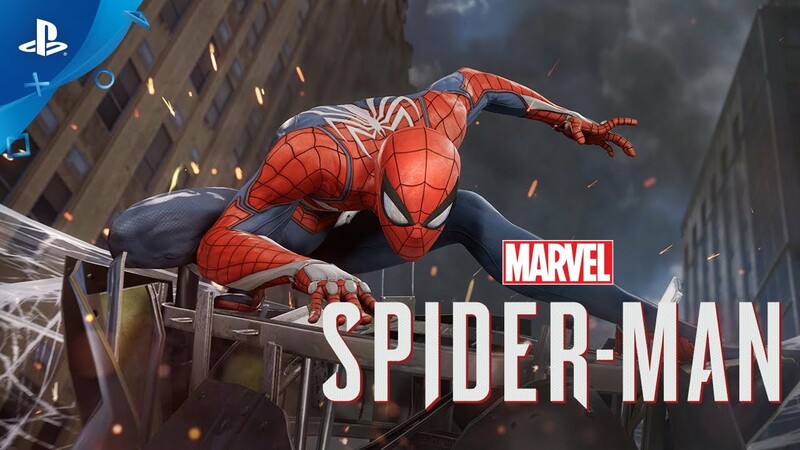 Marvel’s Spider-Man will more than likely end up being Sony’s big fall release (they have a pretty full plate this year with the likes of God of War, Detroit: Become Human and a remake of Shadow of the Colossus in the pipeline) and I’m sure Insomniac and Sony will have plenty to show off before Marvel Spider-Man’s official release to get us more excited for the game than what most of us already are. Oh yeah, did I mention that Dan Slott and Christos Gage are collaborating on the story with Insomniac? If you want to see exactly how much is packed within the trailers for Marvel’s Spider-Man that were released in 2017, I suggest checking out the YouTube channel for Chris Baker HERE. WHAT IS IT? 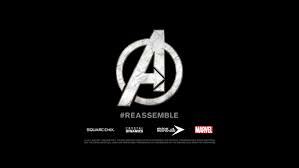 : Crystal Dynamic’s (Legacy of Kain & Tomb Raider) AAA Avengers project being published by Square-Enix. Since that time the only other information that has come out has been for a Crystal Dynamics job posting looking for those familiar with third-person, cover-based action/adventure titles, online and level designers with an eye for what will be fun to share on streaming platforms. Crystal Dynamics recently pout out a video celebrating their 25th anniversary as a studio and within it the team expresses their excitement about getting to work on an Avengers game. Hopefully the things hinted at in the job descriptions and the teaser video will get a lot more meaning in 2018. WHAT ARE THEY? : The conclusion of the series that put Telltale on the map and a continuation that fans have been clamoring for since 2014. WHY SHOULD I BE EXCITED? : Depending on how you look at it, Telltale had both a good and bad 2017. Good in that they released a lot of content: In the comic book space they concluded The Walking Dead: A New Frontier, launched and finished Guardians of the Galaxy: The Telltale Series and continued their Batman series in Batman: The Enemy Within. As good as the content they released was though, it didn’t quite meet their expectations and Telltale suffered massive layoffs. 2018 will be a year of transition for Telltale with the conclusion of the franchise that put them on the map in The Walking Dead and the continuation of The Wolf Among Us, based on the Fables series from Vertigo, that passionate fans have been asking for with high resolve. Telltale has always been a high volume studio and I suspect that won’t be the case in 2018 as the company rethinks its strategy for the future, but what they have in the works is still worth buying a few more season passes for. Though it started in 2017, we’ll also get the remaining two episodes of Batman: The Enemy Within, my favorite of Telltale’s from last year. WHAT IS IT? : Rumored future content for Capcom’s fairly recently released Marvel Vs. Capcom: Infinite. WHY SHOULD I BE EXCITED? : If you went back in time to this time last year and said that a new Marvel Vs. Capcom game would not be met with universal acclaim and instead would be the subject of a lot of backlash from fans, you would more than likely be called crazy, but that’s sadly what happened. Despite building a respectable follow-up to the Marvel Vs. Capcom series in Infinite, albeit a little bare bones compared to other fighters like Injustice 2 and Tekken 7, people couldn’t get over the game’s art style or the X-clusion of mutant characters and Doctor Doom. Rumors have been circulating, none from any official sources, that Capcom is still invested in Marvel Vs. Capcom: Infinite with things being tossed around like new characters from the Marvel side like Daredevil, Wolverine, Doctor Doom, Ms. Marvel and from Capcom Regina from Dino Crisis and Vergil from Devil May Cry among others. 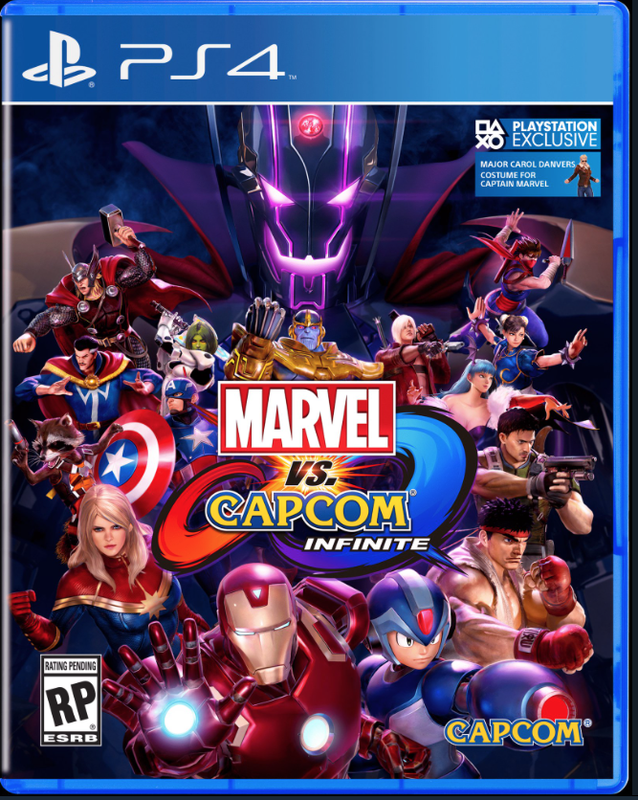 Take all rumors about the future of Infinite with a grain of salt, but Capcom didn’t throw in the towel when Street Fighter V had a rocky launch so it’s not out of the realm of possibility that they wouldn’t want to do the same for the latest Marvel Vs. Capcom game. WHAT IS IT? : You’re guess is as good as mine. WHY SHOULD I BE EXCITED? : If there’s anyone that can be credited with showing us what a AAA comic book game could be, it’s Rocksteady. Since the conclusion of the Arkham series in 2015 with Batman: Arkham Knight, the studio has only released a VR game set in the Batman universe they created with barely a whisper of anything else they’ve been working on. If you follow Rocksteady’s Twitter account (like I do) you’ll notice that there’s been an excessive amount of postings for new opportunities within the company, indicating that whatever they’re working on, whether that’s a new Batman title or something else in the DC Universe (Superman or even Justice League perhaps? ), it’s going to be BIG. 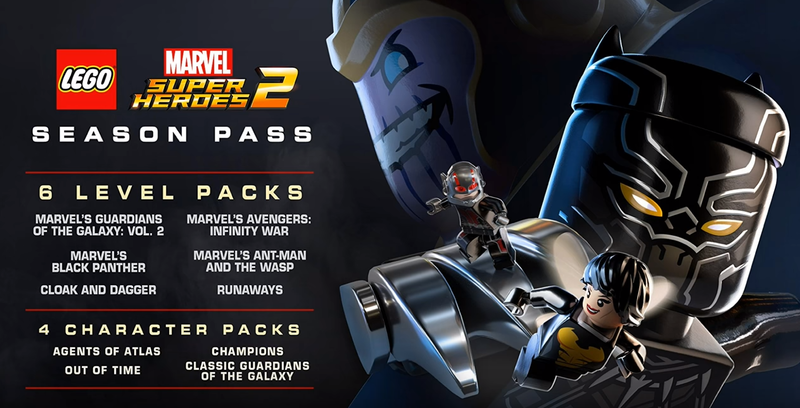 If you’re looking to play interactive versions of Marvel Studios line-up of films that are coming out in 2018 including Black Panther, Ant-Man and the Wasp and the big one, Avengers: Infinity War, the Season Pass content for last fall’s Lego Marvel Super Heroes 2 has got you covered. Alongside those the game will also get expansions based on the excellent TV series Marvel’s Runaways and the yet to be aired Cloak and Dagger.